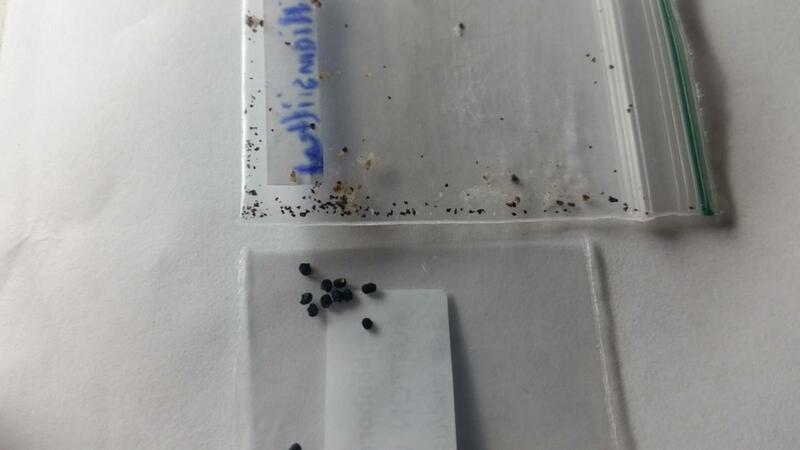 Hi guys, I received these loph seeds. One is advertised as normal Lophophora williamsii the other is Lophophora williamsii texinsis. Is there differing sizes with these seeds? Or is one a different thing? Well the tiny little pieces have sprouted into this. Not anything much yet. And the bigger seeds are this. From what I know, Texenis is the OG variety of L.W... a very slow grower! 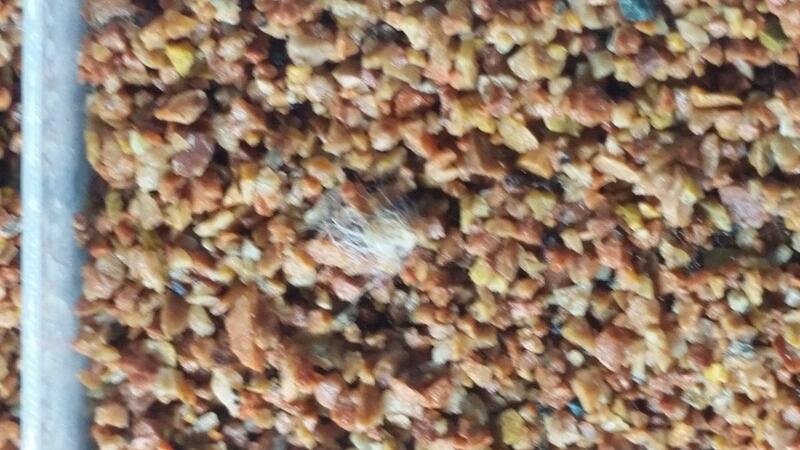 If so, the crushed particles are sprouting. Under my 20x magnifier they are very triangullar. Time will tell I suppose. You sure they are actually sprouting? The only thing I can see in the first picture is cobweb mold. Do you see any green in there at all? US postal machinery can and will crush seeds to dust. It is essential to use at least a padded envelope - I add an additional liner of bubblewrap to that. Also, the description Texinsis probably means it comes from Texas - it is no more a different variety of Lophophora williamsii than a Texan is a different variety of Homo sapiens. But the taxonomy of Lophophora is a total mess, with loads of non-existent ´varieties´ being invented and sold. These were in australlia, still I'm not surprised tho, is there anything to the Lophophora williamsii var pentagona and Lophophora williamsii var pluricostata from what I can tell it's different rib habits but am I likely to get seed that would keep the 5 rib habit, or could it happen to any lw seed? I read that article - with a LARGE pinch of salt. IMHO var. pentagona has no real validity - the International Cactaceae Systematics Group recognise only two true species of Lophophora with just a handful of taxa. As has been stated all Lophophora williamsii start with just 5 ribs and produce more later - although one of mine has retained its original five to quite a large size - but that is just natural variation that occurs in any species of plant or animal. And all Lophophora williamsii that I have grown have been self fertile. Lophophora williamsii var. pentagona Croizat, Desert Plant Life 16: 44. 1944, was based on a photograph by Y. Wright in Cact. Succ. Jour. 3: 55. 1931, titled "Anhalonium sp. undetermined.'' It is an illustration of a young 5-ribbed plant that commonly occurs in populations having plants with branches bearing 7-14 ribs. Rib number alone is an insufficient basis for establishing a separate taxon. Lophophora williamsii var. pluricostata Croizat, Desert Plant Life 16: 9. 1944, was proposed because Croizat believed specimens of peyote having 13 ribs and forming clusters were worthy of separate taxonomic rank. He offered as a type an illus- tration by Schultes in Cact. Succ. Jour. 12: 178. fig. 1. 1940. As stated earlier, rib number is highly variable, depending on the age and health of the plant. More- over, clusters of heads are also common, especially if the plants have been injured.